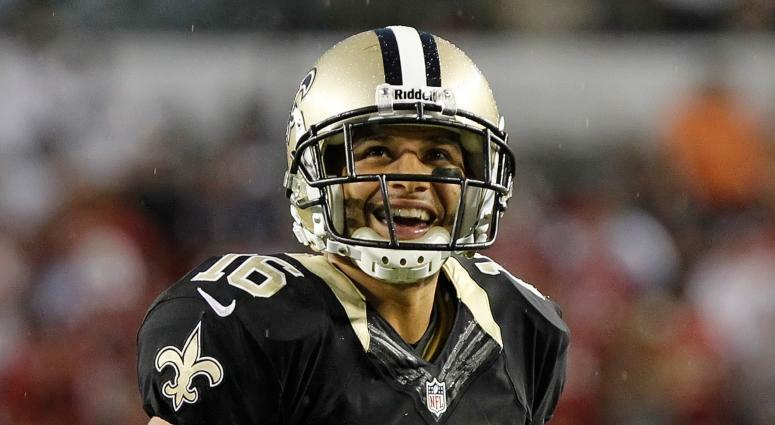 In the latest episode of (insert name here) is the GOAT not Tom Brady, former Saints receiver Lance Moore puts his old quarterback Drew Brees as the greatest of all time. Moore played eight seasons with the Saints, including their super bowl season in 2009. As a fan of football, I respect the hell out of blind loyalty to your former team and teammates, so I will not fault Moore for making his case. Moore made his argument on an interview with TMZ Sports: "I don't know how else you would quantify the greatest of all time," Moore said. "If you're talking statistics, Drew's the (NFL's) all-time completion leader, all-time completion percentage leader, all-time yards leader, he's second in touchdowns -- what more do you want from this guy?" Look, I get the argument to put someone in that position based on their stats and I am not trying to take anything away from Drew Brees. I do believe he will go down as a top 5 all time, but there are two sides to the stat argument as well. If we are basing our rankings off of stats alone and not by playoff performances and championships, then sure Eli Manning is totally a better quarterback than the likes of John Elway, Aaron Rodgers and oh yeah Joe Montana. This isn't even an anit-Giants rant from a Patriots fan, by judging performance from all-time stats, Philip Rivers and Ben Roethlisberger would also be higher. This may have gotten off the rails here a little, but when ranking the greatest of all time, you have not only measure by championships, but how they performed getting to those games, and how they played to win them.